At the very young age of 4 years, Danyel enjoyed playing with her dolls while combing and twisting their hair into various styles. At age 7, she graduated to playing with her mom and her grandma Edna’s hair whenever they would sit still for her. As Danyel grew older, she started complaining about how her mother styled her hair, and insistently asked permission to do her own hair. By the age 11, she was applying her own relaxers and styling her own hair. While in high school Danyel studied Cosmetology at C.S. Monroe Vocational Technical Center in Leesburg, Virginia. 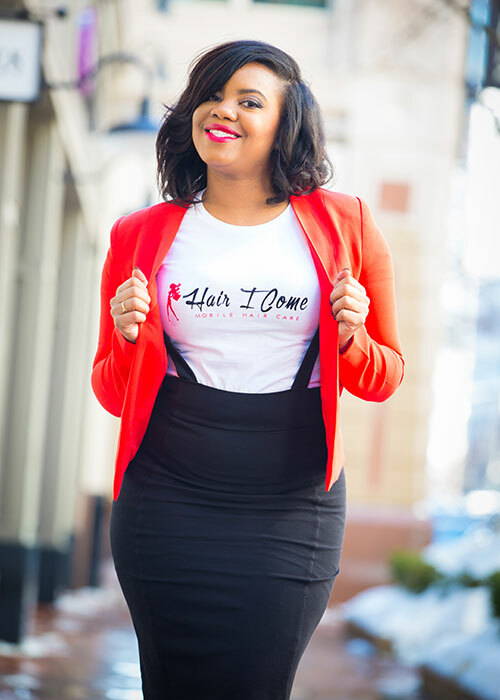 In 2011, Danyel honed in on her entrepreneurial skills and purchased Salon Magnolia in Richmond, Virginia. Although she was excited about owning and operating her own business, her heart longed for the closeness of family and friends in Northern Virginia, and her excitement began to wane. After selling Salon Magnolia, Danyel returned to Northern Virginia and focused on obtaining her degree in Business Management through Strayer University. During this time Danyel continued to receive repeated requests from friends and family, to care for their hair. She liked the idea of packing up her products and servicing her clients in their home. She enjoyed the comfort, convenience, and intimacy it allowed them. 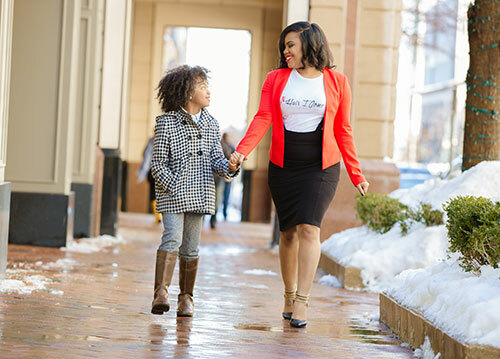 Being the mother of an inquisitive little girl, Danyel strives to show her daughter, Skylar Raiyn, that dreams can come into fruition when you apply faith, hard work, and love to whatever you do. Copyright © 2018 Hair I Come, LLC | All Rights Reserved.